Selection of 9 educational wooden jigsaws. Allow your children / grandchildren to learn and have fun at the same time with these colourful handcrafted jigsaws. 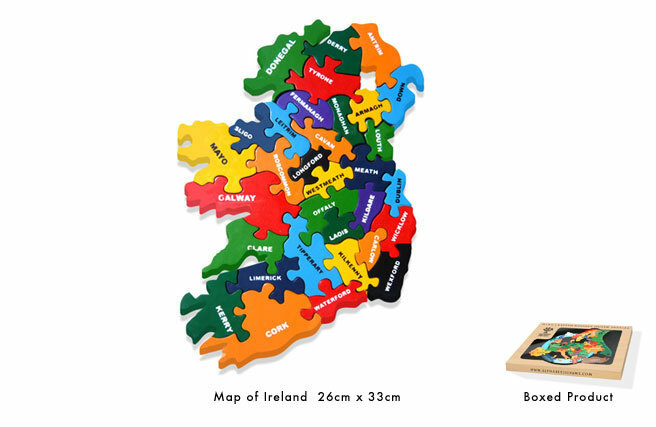 RATHFRILAND, Ireland - Oct. 13, 2013 - PRLog -- Check out the range of Educational Deluxe Wooden Children's Alphabet & Number Handmade Jigsaws. These alphabet and number handcrafted wooden jigsaws are a great educational toy for children. Each are cut from wood and then painted by hand in vibrant colours making each a work of art. Each jigsaw is designed to educate and learn. All are durable and come with a printed cotton bag for safe storage. All paints and primers used are child safe and non toxic each meeting and exceeding the EN71 European Toy Safety Standard and each jigswa bears the CE mark. Packaged in recycled cardboard packaging. All securely packaged and dispatched direct from Ireland worldwide. An ideal Birthday or Christmas present.